Featured new suspension products at PFYC-PartsForYourCar.com. 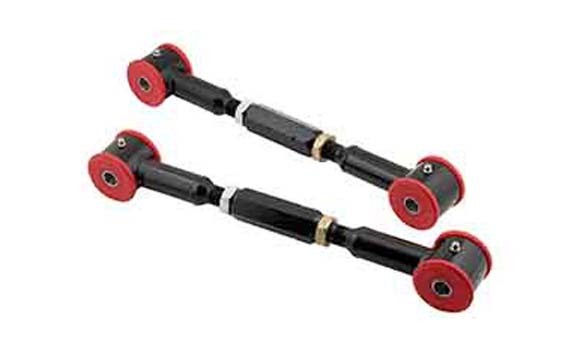 Independent Rear Suspension (IRS) systems provide a good balance of ride comfort, road feel, and traction; however wheel hop commonly plagues these designs due to weak stamped steel and rubber bushings. Lakewood engineers have spent countless hours finding solutions to this problem without sacrificing the inherent balance of these systems. 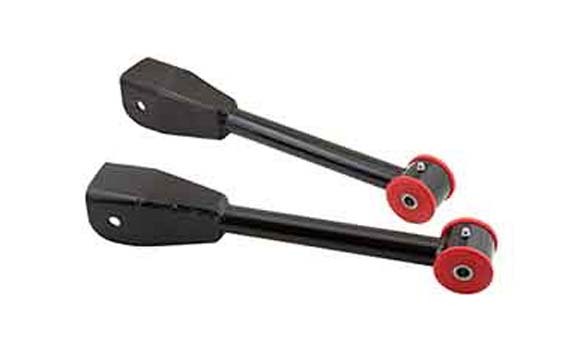 Lakewood trailing arms strengthen the rear suspension and improve traction by reducing wheel hop. Please click photos below to go to the ordering pages. Factory toe links in IRS systems can bend and deflect under load, which in turn alters toe alignment settings. This not only can cause inconsistent handling, but also alters the tire's contact patch under load. Lakewood toe links are stronger and eliminate these inconsistencies which can improve lateral grip, shorten braking distances, and improve stability under load. To see a full line-up of our new products for your 2010-2011 Camaro, please click here. To see a full line-up of our current sales and specials, please click here. Good for street or just racing? Absolutely fine for the street. However, any time you're replacing rubber bushings with urethane bushings, you may notice some deterioration in ride quality, depending on which bushings you're replacing and how much influence that bushing has on ride quality. Most people wouldn't notice much deterioration in ride quality with these but some would. Which stereo do I have??? Thunder Racing Celebrates 15 Years!